Summer is undoubtedly here, and I'm very happy! I enjoy our boiling hot summer. Yes, I love hot weather and long days. 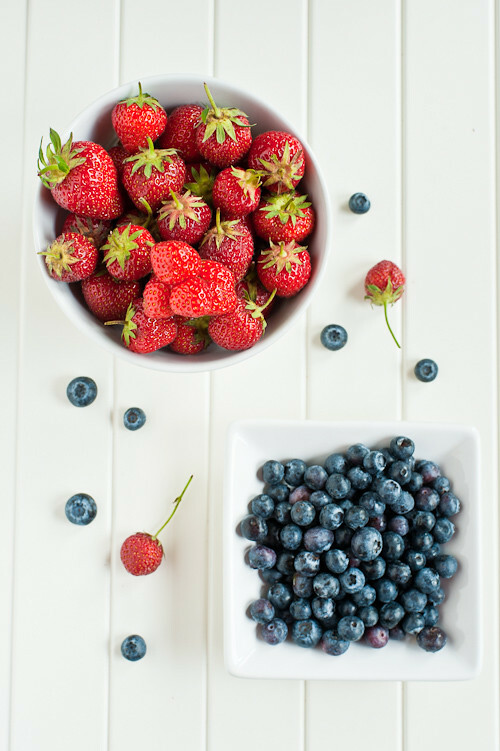 But, what I love most about this season of the year, is summer fruit. I know strawberries, blueberries, raspberries and all kind of berries are available all year round, but let's be honest, the flavour of freshly picked local strawberries is incomparable. And just imagine a smooth and flavoursome apricot or peach, that's the true taste of summer! So when I got my package of Linwoods' Milled flaxseed, cocoa & berries, I knew instantly what I was going to make. 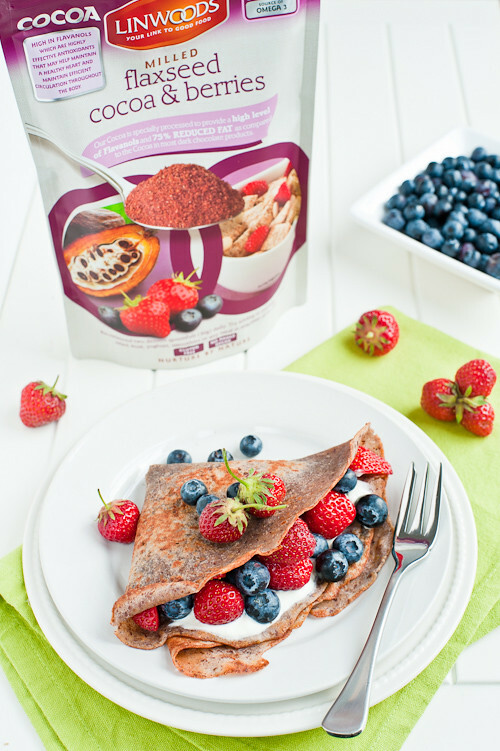 I wanted to create a recipe that would complement a nice strong flavour of cocoa & berries in this Lindwoods' mix. We got some of Linwoods' products last year in our Food Blogger Connect 2009 goodie bags, and I mostly enjoyed them in my morning yogurt or fruit crumbles. 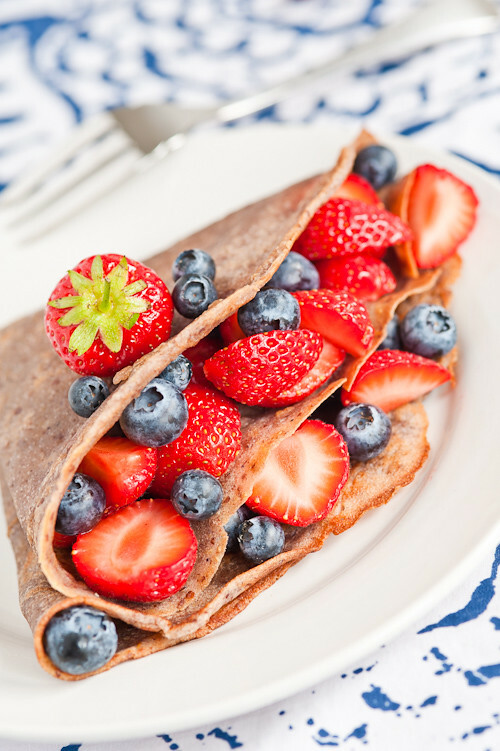 Crepes with fresh fruit sounded fairly good to me. 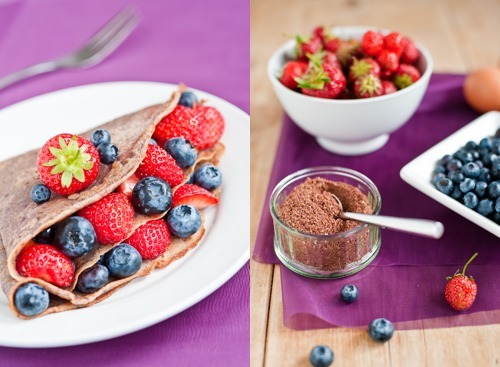 I paired Milled flaxseed, cocoa & berries with buckwheat flour, which has a nice nutty flavour, to create very flavoursome and gluten-free crepes. 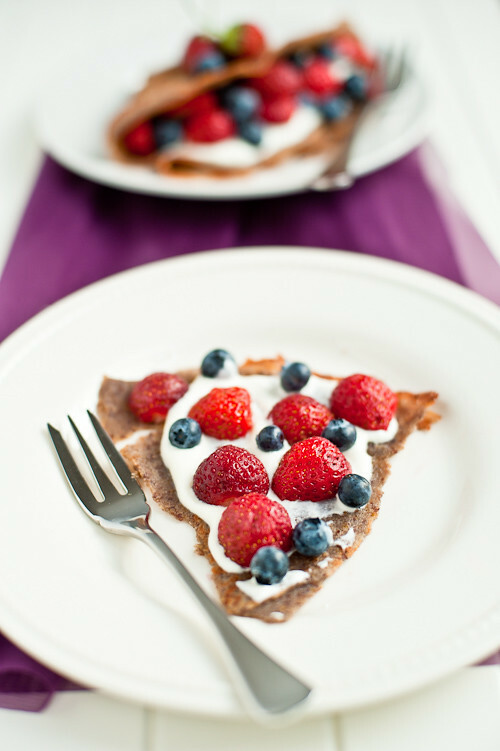 Served with sour cream and fresh berries, these crepes make a wonderful summer treat! 1. In a medium bowl, stir together the buckwheat flour, Linwoods flaxseed, sugar and salt. Whisk in milk and add the eggs. Add the melted butter and whisk until fully incorporated. 2. Heat a lightly greased frying pan over a medium heat. Ladle or pour a little batter (depending on your frying pan size, just enough so it will thinly coat your pan) into the pan and tilt and rotate the pan until the batter coats the bottom evenly. Cook over medium-high heat until the edges start to brown. Flip the crepe and cook the second side for a few more seconds. 3. 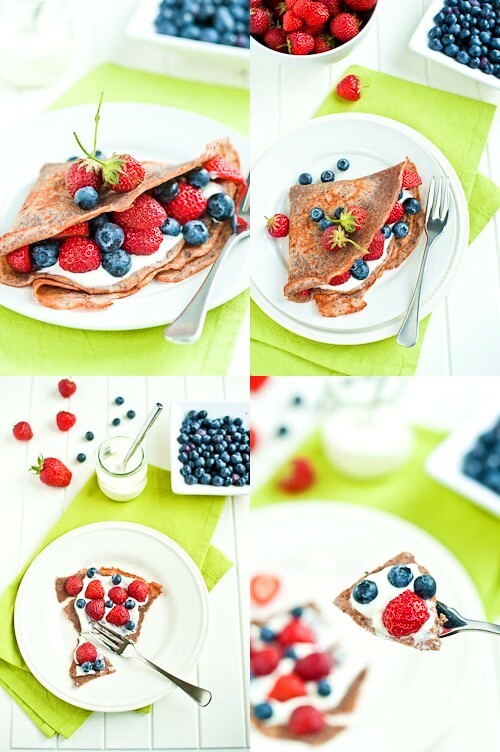 Remove the cooked crepe from the pan and place it on a plate. 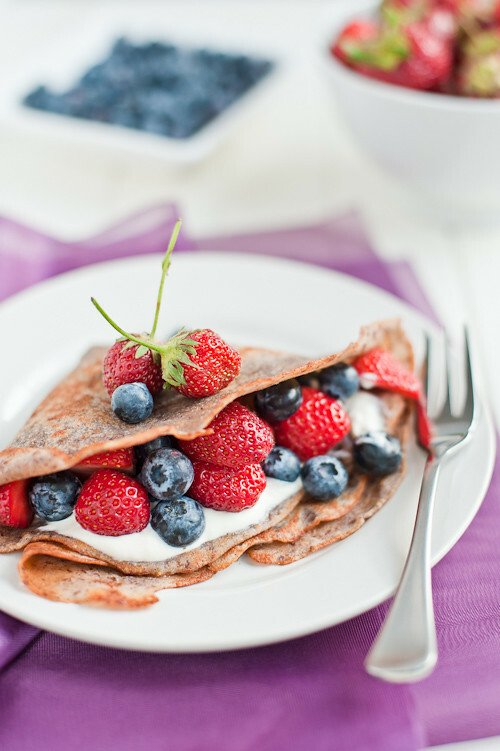 Fold each crepe into quarters and fill with sour cream and fresh berries.